Suitable for players of all skill and experience levels, the Classic Army Nemesis series of AEGs was designed to give players the ultimate tool to take down the opposition. 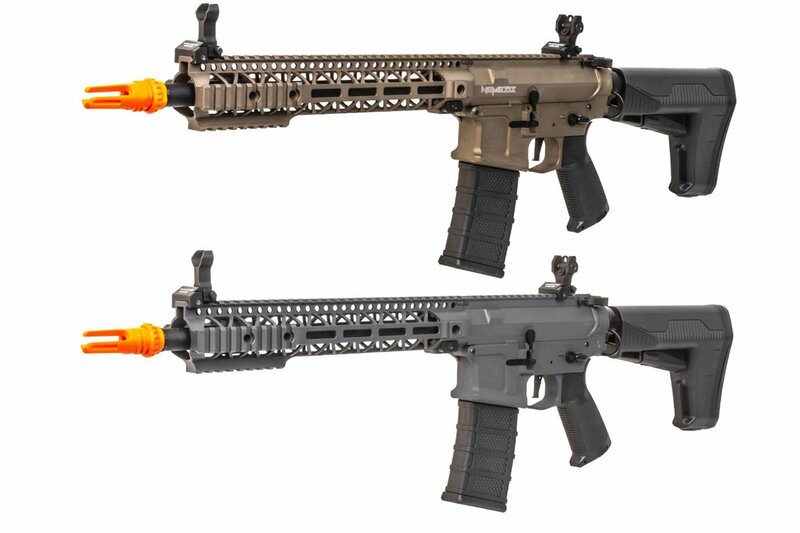 The best parts of Classic Army's trusted Scarab line have been incorporated into the Classic Army Xtreme Nemesis HEX M4 Carbine AEG Airsoft Gun from Airsoft GI. The result: your enemy's worst nightmare. 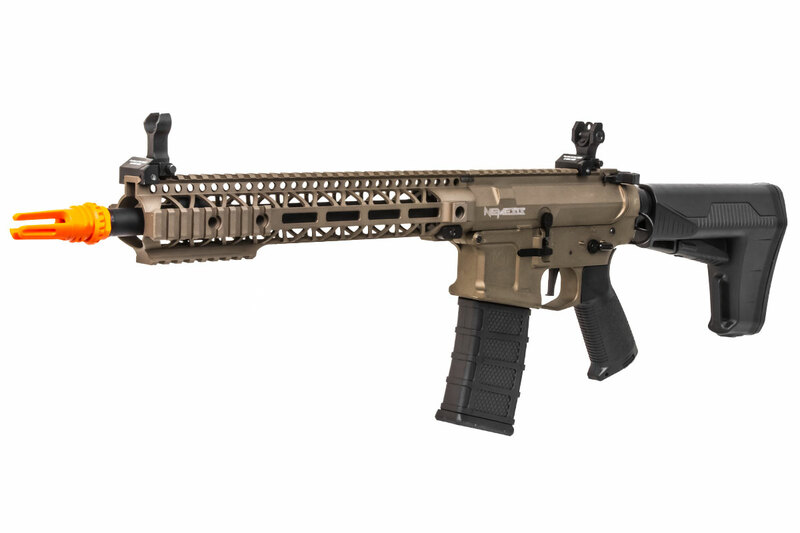 The HEX, or Hybrid Elite Xtreme, gives you the comfort of a smooth M-LOK compatible rail and the easy accessibility of Picatinny rail sections toward the front of the handguard. This makes it perfect for customization and close-quarters to mid-range engagements. It's a versatile gun that you'll want to have by your side when the going gets tough. Externally, the upper and lower receivers are metal. This gives you a super-aggressive, billet-style look while making sure both receivers match up perfectly. Solid build and attention to detail show throughout this carbine including it's ambidextrous charging handle. This allows you to access your hopup easily with either hand. 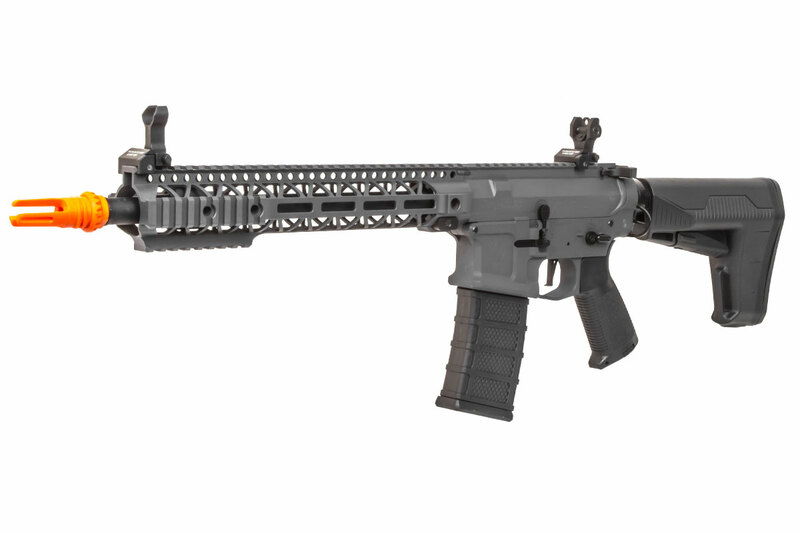 The handguard was custom designed in-house by members of Classic Army USA. The whole thing is rounded out by Classic Army's newest upgrade, the B.A.S. Stock. This stock is the king of battery storage, allowing you to fit three LiPO's comfortably with room to spare. Internally, the gun has a 9mm gearbox with updated CNC wirecut steel gears, a brand-new electronic control system ECS, 6.03mm tight-bore barrel, a 31k high speed / high torque motor and a TRUE quick-change spring system. The ECS not only protects your trigger contacts, but also has a trigger-programmable three- or five-round burst-fire function. This M4 3-round burst AEG will decide a lot of disputes fast. The gun will shoot 375-400 fps using 0.20g BBs and 900-1000 rpm using an 11.1V battery. It has a true quick-change spring system you can access without having to take out the gear box, so you can quickly and easily upgrade or downgrade your spring to change the power level with no wasted effort or time. On top of all that, the 31k motor combined with this updated gear ratio provides 26 rounds per second to make sure you get the BBs down the range.